Bands reuniting, albums launching, new acts being discovered and a lot more happenings is what describes how Pakistani music has been this year so far. It will still take some time for Pakistani music to revive the same aura of the 1990s and the 2000s, but this year we have seen improvement to an extent in terms of Pakistani music. Pakistani music was off to a great start at the beginning of this year. 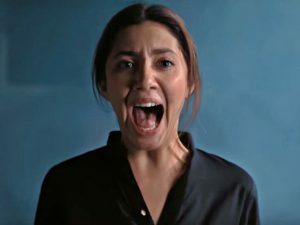 One of Pakistan’s most popular rock bands released their much awaited music video of Teri Haar Hum first released as an audio track for the band’s second album Dhoom in 2011. The digital music platform also rightfully performed the responsibility of presenting new and unheard sounds to a wider scale with their initiative; Patari Tabeer which discovered the “undiscovered”. We were introduced to a lot of talent from different parts of the country which included Abid Brohi’s Sibbi song with Some What Super, Muhammad Jahangir’s Chitta Chola with Abbas Ali Khan, Lyari Underground’s Players of Lyari, Nazar Gill’s Jugni with Farhan Zameer, Sajan Moi Khay Yaad Payo with The Sketches and various other artists and Malala Gul’s Tora Baram Khana Nawaba with Danish Khawaja. 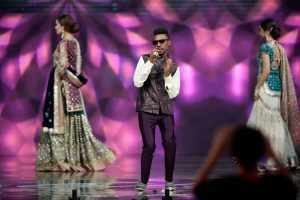 Abid Brohi also got the chance to sing his viral hit Sibbi song at the Lux Style Awards 2017. The Pakistani film Chalay Thay Saath although didn’t manage to do well at the Pakistani box office, and didn’t receive a lot of positive reviews either, had a really wonderful soundtrack, thanks to independent acts like Sikandar Ka Mandar and Mooroo. Soundtracks from films like Yalghaar and Balu Mahi didn’t offer anything new. Verna on the other hand had a really good soundtrack with all of the songs providing a really fresh and new sound especially the rap number Power Di Game. In February, rumors broke out about Fawad Afzal Khan returning to his musical roots as a judge on the second edition of Pepsi Battle of the Bands. 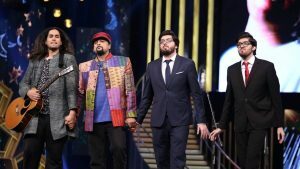 The musical event was successfully held for the third time at the Alhamra Arts Council in Lahore featuring big names like Ali Azmat and Noori to independent acts like Poor Rich Boy.The 5th HUM Awards this year paid tribute to Junaid Jamshed who died last year in a plane crash with Salman Ahmed and his son performing Dil Dil Pakistan at the award show. Although piracy is still rampant in Pakistan, some musicians took the risk of releasing albums this year as well although only through digital mediums and not physically. Pakistani record label EMI Pakistan released Asad Ahmed’s (of Awaz and Karavan fame)debut instrumental albumRebirth along with the music video of Animal for the album. Another music video Rebirth from the album of the same name is on the way as well. EMI Pakistan also released Zoheb Hassan’s solo album Signature accompanied with music videos Always On My Mind and Silsilay. 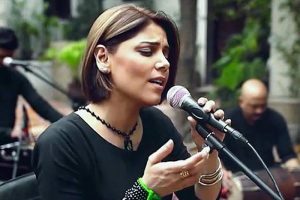 Hadiqa Kiani came out with her sixth album Wajd after a gap of 8 years. Mekaal Hasan Band released the re-mastered version of their album Andholan. Independent act E-Sharp released their second album 600 Saal accompanied with the music video of the same name. Another independent act Those Retards released their debut EP Foot Fingers along with the music video Lots of Calcium. PatariFanoos was another successful initiative by the digital streaming platform along with musician ZohaibKazi featuring diverse voices from around the country. Fanoos included diverse acts like Students of Bulbulik, Riaz Qadri, Akhtar Chanal, Islam Habib Hunzai, MoharramFaqeer and Zarsanga. A number of singles and music videos were released this year as well. Indie alternative act Sikandar Ka Mandar released the music video for their song Gehri Neend and Dark Rock musician Schaz Khan released the music video for Main UdaanHoon from her album Piyar Mein. Bilal Khan also released his single Chorh De and Asim Azhar released 5am.Keeray Makoray released the music video for Island in the City from their upcoming album of the same name and the music video of Noni. Poor Rich Boy released their first ever Urdu track Tootay Huay Aadmi this year as well.Ehl-E-Rock released the music video of their single Believe. Pakistani music also did suffer irreplaceable losses this year. Musical composer WajahatAttre who had composed music for over 200 films passed away this year. Another loss was guitar Maestro Amir Zaki who passed away this year at the age of 49 due to cardiac arrest. 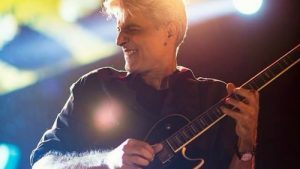 Musician Maha Ali Kazmi paid tribute to the late guitarist by releasing Aaj Sunn Ke Tumhara Naam, a song she worked on with Amir Zaki years ago. Many musical ventures were also held this year. Coke Studio entered its tenth season but received mixed reaction due to monotonous sounds and allegations of nepotism; however some songs such as TinakDhin, Jindjaani and Naina Moray managed to do well and a lovely tribute was paid by Ali Zafar, Ali Hamza and Strings to JunaidJamshed with them performing the Vital Signs hit song Uss Raah Per. The second edition of Cornetto Pop Rock took place this year but didn’t offer anything worth remembering. 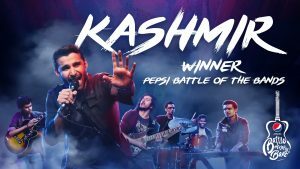 Pepsi Battle of the Bands came with its second edition after 15 years featuring fresh and new sound such as Kashmir, Badnaam, Roots, Madlock, Darvesh, Aura and Shajr. Pepsi Battle of the Bands also managed to get former competitors of the show Entity Paradigm (EP) and Aaroh back on the music stage. Aaroh performed their hit songs Raag Neela and Na Kaho on the PBOTB stage with EP performing Hamesha in the final episode. Aaroh paid tribute to the band’s late guitarist Haider Hashmi who passed away in 2014 due to brain tumor and Shahi Hasan performed the Vital Signs song Na Mumkin on the final episode which was a tribute toJunaid Jamshed. True Brew Records, another initiative featured many underground musicians such as JanoobiKhargosh, Moyo and Shorbanoor along with big names like Haroon Shahid and Jimmy Khan. Call performed in Norway for the first track and brought back a new sound which they showed in the second last episode of Pepsi Battle of the Bands performing Jilawatan along with a drum jam and have been touring the country ever since. Ali Noor and Bilal Khan launched their vlogs giving a chance to fans to know them more closely. 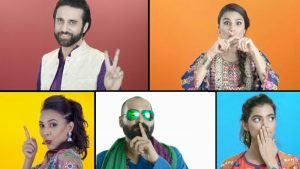 Ali Noor also partnered with Strepsils on an acapella rendition of Alamgir and Benjamin Sisters Khyal Rakhna featuring Zoe Viccaji, Rachel Viccaji, Sara Haider and Ahsan Parvaiz (of Siege fame) and the name given to the initiative is Strepsils Stereo. Strepsils Stereo released another track Rang De featuring Ali Noor, Ahsan Parvaiz, SafeerJaffery and ParizaeAzhar Malik in the same format as the previous song; without any instruments. Ali Noor and Ali Hamza have decided to go solo as well, but we hope it does not mean the end of Noori and they continue to perform under Noori. The Mix was another successful event held at Alhamra in November this year featuring a lot of indie acts such as Roots, Madlock, JanoobiKhargosh etc. PatariAslis came out with volume 2 this year and 2 songs have been released so far namely Kasani by Lyari Underground and Gol Gappay by Sikandar Nawaz. 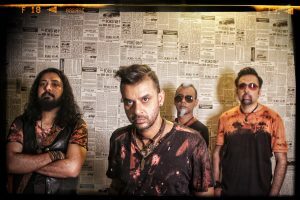 Aaroh returned after a decade with their new song Main Nahi Manta this December which is a rendition of leftist poet Habib Jalib’sDastoor (Main Nahi Manta). Sikandar Ka Mandar on their YouTube have been performing live songs under the banner Live at the Electrik Room and will be releasing their album probably at the end of this year. Strings have now retired from their responsibilities as music producers of Coke Studio and are now focusing on their band. 2017 has been a good year for the Pakistani music industry. With a lot of happenings regarding music this year, it can be seen as a positive sign for the future of the Pakistani music industry. TuryalAzam Khan is currently doing B.A (Hons) from Beaconhouse National University (BNU) Lahore. He likes spending time on social media, talking to people, watching TV shows and movies, and listening to music. He also enjoys traveling and writing. Will PRSS-1 send Pakistan’s satellite fortunes into orbit? Zoheb hassan make 2017 more colorful with his album signature.